Les Chalets de Montriond is a new build development in Montriond, reserving now Off Plan! The project consists of 2 small chalet style buildings with a total of 21 apartments available. A stone’s throw away from a free bus stop for an easy access to Morzine centre or Ardent cable car (to Avoriaz area). Every apartment is sold with a fitted kitchen, a cellar, a car parking space and a private underground garage! Entrance hallway with separate toilet, living / dining room with access to the balconies, an open plan kitchen, three bedrooms at entrance floor level, one with shower & sink, a bathroom, stairs up to attic bedroom with en-suite. Reduced Notaire’s fees to 2.35 %. All apartment are suitable for wheelchairs. You can visit a show room and example residences built by the developer. 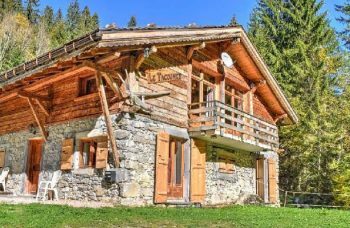 An excellent new build development; in Montriond; easy access to Morzine & skiing via Ardent telecabine. Situated on the Free Ski Bus route. Fantastic mountain views!